Distractions are never a good thing when you’re trying to get work done, and they’re particularly detrimental when you’re writing. There are always distraction-free text editors worth trying Write In Peace With These Distraction-Free Editors Write In Peace With These Distraction-Free Editors I have felt it. Visual clutter – thanks to menus and other markup features – have often cemented my writer’s block. So, I have tried out quite a few distraction-free text editors in a grand... Read More , but some people may prefer to work in Microsoft Word due to its familiar interface or feature set. Don’t fear. You can still achieve your goal of a distraction-free zone How to Get a Distraction-Free Computer in 10 Easy Steps How to Get a Distraction-Free Computer in 10 Easy Steps Your attention is consumed by distractions. Remove them to increase your focus and productivity. We show you the most common computer-related time suckers and how to disable or block them. Read More in Word with these three quick tips. Utilize them to remove clutter from your experience and make your work easier. 1. Turn off spell check when you’re working. Without those squiggly red lines all over the place, you won’t be as tempted to go back and fix typos right away — this breaks your concentration, and you can focus on writing when you’re not worrying about silly mistakes you can fix later. Head to File > Options > Proofing tab and uncheck the boxes for Check spelling as you type and Mark grammar errors as you type. 2. Turn off formatting marks. If you’re working with others in a document, Word will add marks to show you who changed what; you might also have paragraph and other markers that are just annoying. Go to the Review tab and choose No Markup in the Tracking tab. Make sure paragraph/formatting marks are off by clicking the ¶ symbol in the top-right of the Paragraph section of the Home tab. 3. Use text expansion. You probably write a lot of repetitive text throughout the day, especially if you write letters for a business or something similar. Try a clipboard manager Hold That Thought: 5 Reasons You Need A Clipboard Manager Hold That Thought: 5 Reasons You Need A Clipboard Manager When you think about it, copy paste is kind of weird. You copy stuff, but there's no way to see it. And if you copy over what you had, it's gone – forever. Read More like ClipX, which allows you to add “sticky” text snippets that you can reuse anywhere in a second. 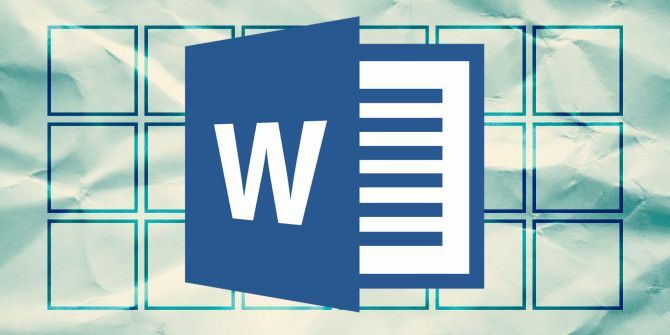 What are your tips for more focused writing in Word? Share your best tips below and let’s make this list even better! Explore more about: Microsoft Word, Productivity.